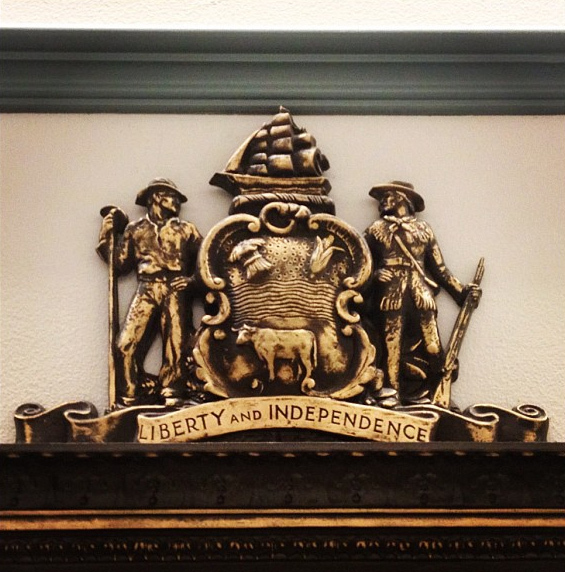 Delaware coat of arms; located in the Delaware Legislative Hall. Photo by Marc Tomik/Flickr (Noncommercial Use Permitted with Attribution/Share Alike). The ship is a symbol of Delaware's ship building industry and extensive coastal commerce. The farmer represents the central role of farming to the state of Delaware. The Militiaman is a symbol of the crucial role of the citizen-soldier to the maintenance of American liberties. The wheat sheaf is a symbol of the agricultural vitality of Delaware. The ox signifies the importance of animal husbandry to Delaware's state economy. Maize (Indian Corn) symbolizes the agricultural basis of Delaware's economy. Water represents the Delaware River, the state's main artery of commerce and transportation. 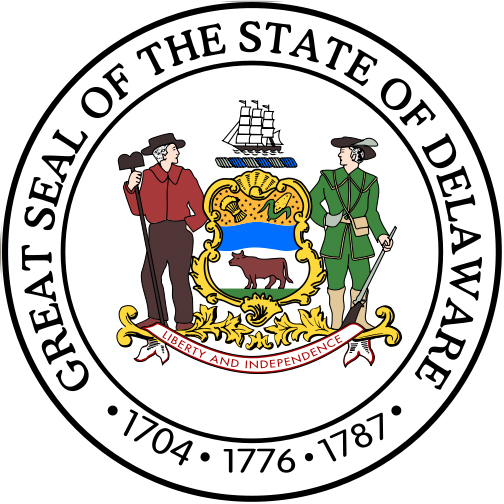 Delaware's state motto: "Liberty and Independence" was approved in 1847. 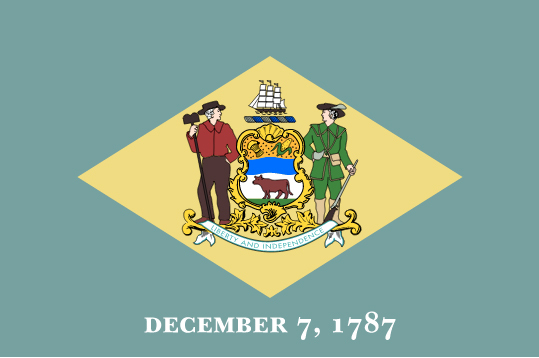 Flag of Delaware (public domain image on Wikipedia).